Coasters are a great home décor project for yourself or an excellent option for a homemade wedding present, housewarming gift, or birthday present. Many of these tutorials are very inexpensive and almost exclusively require materials that you can get at craft stores and hardware stores. 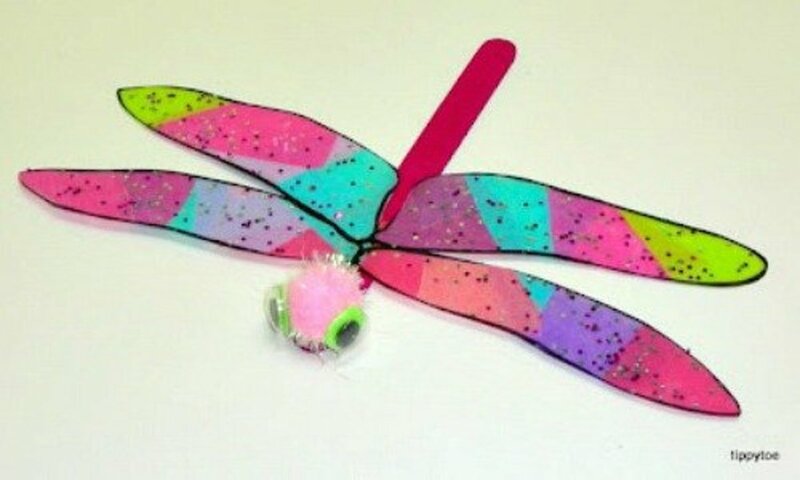 Only a few require sewing or other craft techniques that are more advanced than basic cutting, folding, and gluing. Happy crafting! There is an abundance of tile coaster tutorials online. I have rounded up just a few of my favorites. The basic principle is to take tiles, Mod Podge paper of your choice to them, and apply spray acrylic to finish. 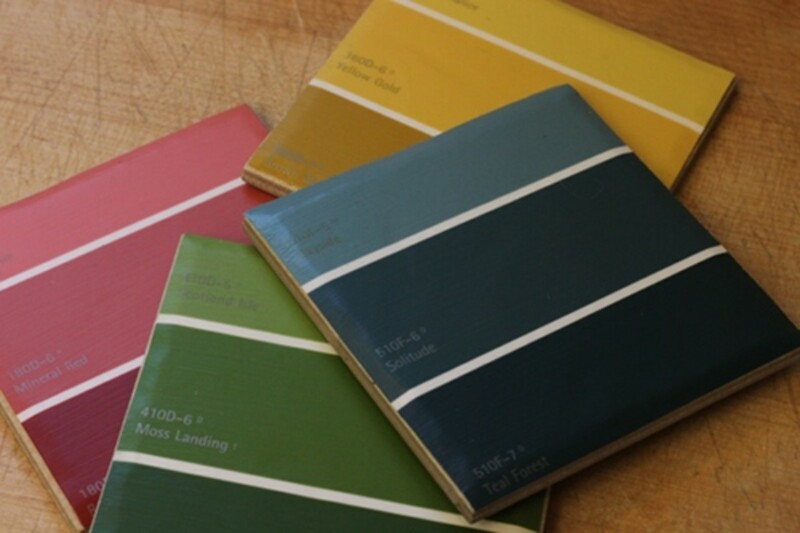 The possibilities for your paper are endless: scrapbook paper, maps, paint chips, photos, etc. As soon as you've made a set, you'll be ready to make another one with your next set of ideas. This tutorial takes the popular tile Mod Podge idea to an extra level with photos printed on tissue paper and felt with adhesive backing. If you're making photos out of tile or any type of harder material, some sort of backing or protective feet is a great touch. I love the uneven tiles that Lindsay chose for the tutorial, but you can use any type that you like. The only hard part will be picking the photos that you want to use. Another great variation that I found for the tile coaster idea is tile initial coasters. The author presents this as a great hostess gift idea. It would also make a wonderful wedding gift. She uses paper napkins for her initials. If you do this, make sure that your napkins stay as wrinkle free as possible before you glue them. Alternatively, you can design or download and print an initial logo on cardstock. 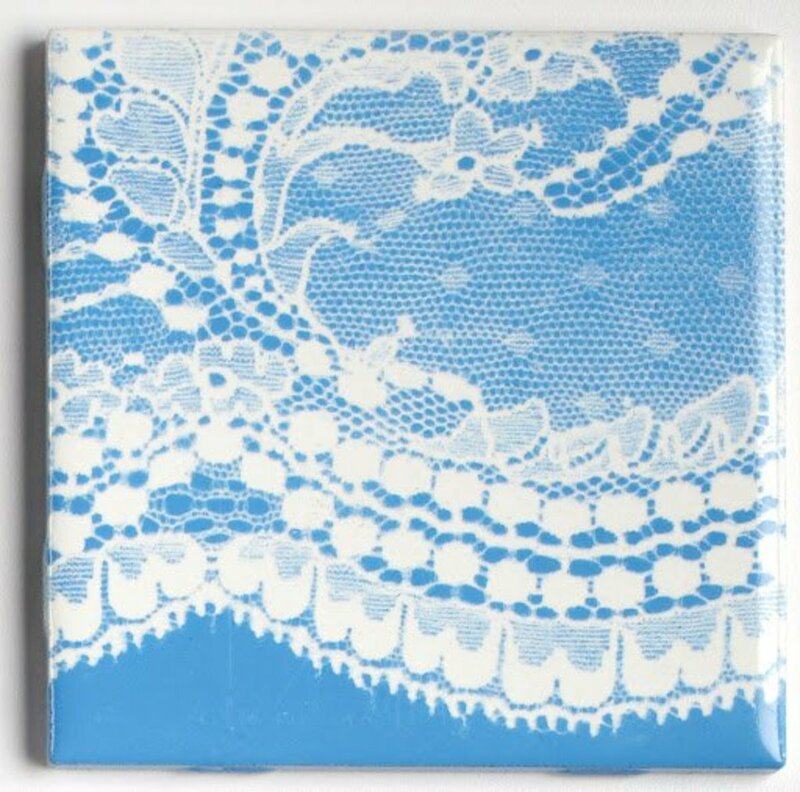 The final tile coaster idea that I found is for tile lace coasters. Instead of using patterned paper or photos as many of the other tile coasters do, this tutorial involves lace and spray paint. The possibilities for lace patterns are endless and you can customize them any way you want with different spray paint colors. If you choose to remove the lace before the spray paint dries, make sure to do so carefully so that the paint doesn't smear. Lace Tiles - The Crafts Dept. 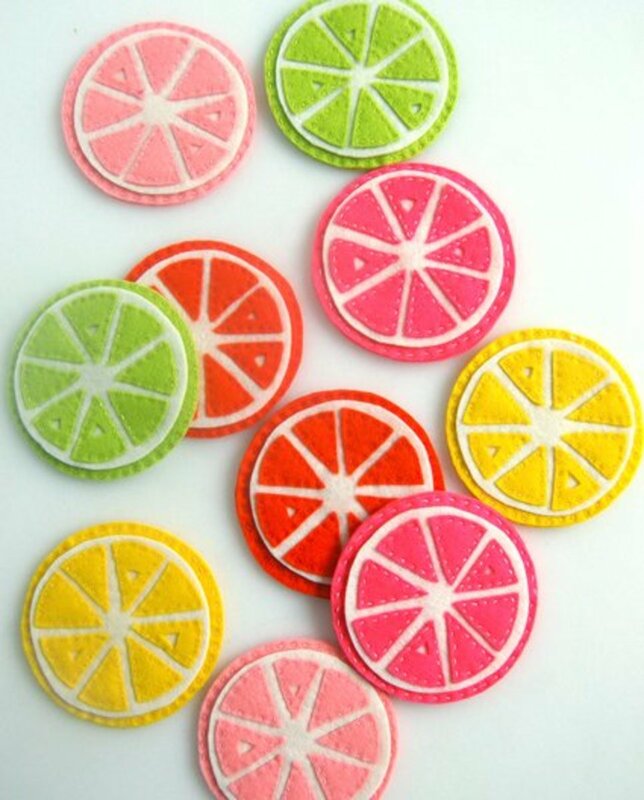 How sweet are these little citrus slices? They are so easy to put together, too. Use Purl's citrus templates to cut out all of your felt pieces. Then layer your pieces on and sew them together. The hand sewing process is a little tedious but well worth the effort. I think that it's fun to have a multicolored set, but you can make a single colored set, too. For those of you who have a rustic décor or are looking for a gift idea for someone who has rustic décor, this is a perfect option. 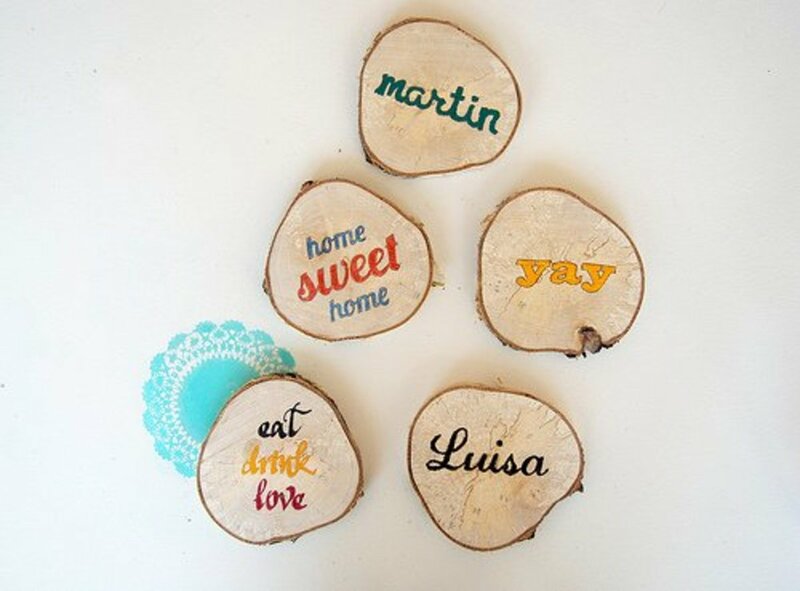 I haven't gone looking for these wood slices in craft stores, though you may be able to find them there. I was able to find a handful of options on eBay and Etsy. If you're only planning to purchase enough to make a few sets, they aren't very expensive. I would stick to simple designs, such as words or small pictures, since you'll be tracing and painting all of them. But you can make it as detailed as you like. This is a great way to use up some of your smaller fabric scraps (or it will give you an excuse to buy a few new fabrics...). The author chose to hot glue gun her rolled fabric, but you can opt to sew it instead. I love how the entire set of coasters coordinates but no two are exactly alike. If you like to change up your home décor frequently, create sets for different seasons and make some special ones for the holidays. 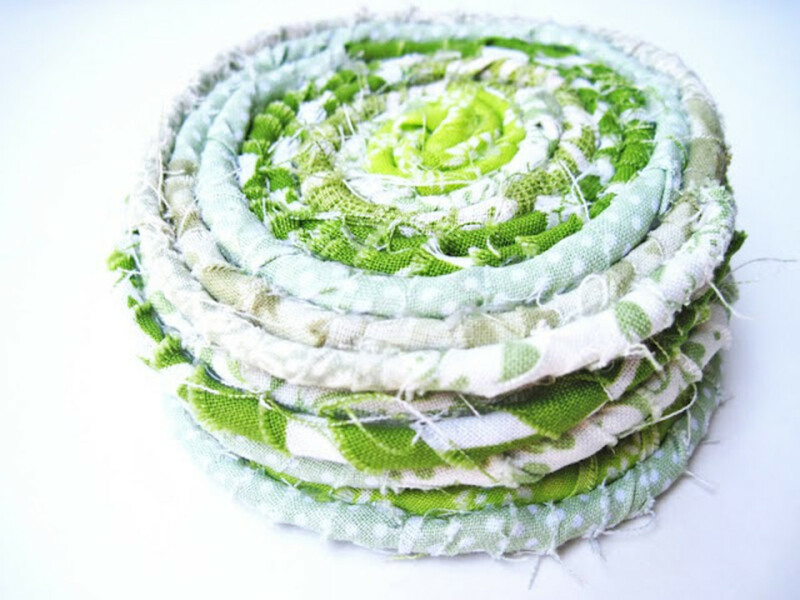 Two Shades of Pink: Fabric Coil Coasters : I Love Green! I'd never heard of Alcohol Ink before, but this technique looks like a lot of fun. Cindy demonstrates the technique here for card making purposes, but it works wonderfully for coasters, too. Make sure that you use a non-porous coaster material, such as old CDs, so the ink will not bleed through. Follow Cindy's great steps, and your family and friends will be wowed by this seemly complicated aesthetic. 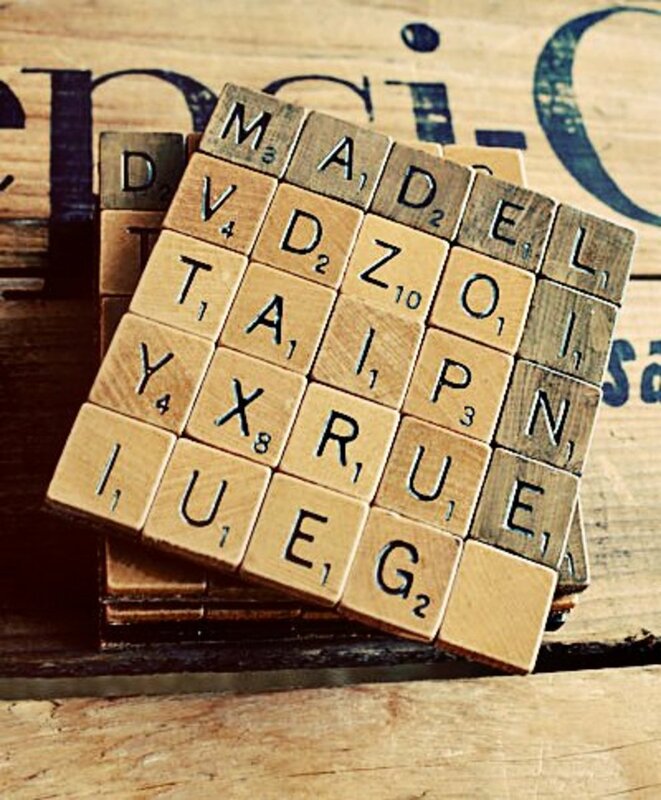 If you spend any time on Pinterest or Etsy, you probably know how popular Scrabble tile crafts are right now. 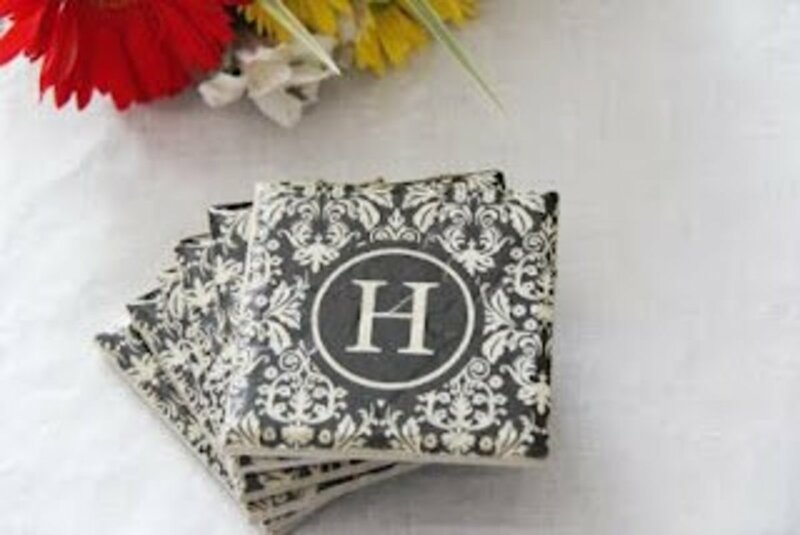 This tutorial is on a wedding site, but there are lots of other possibilities for these coasters, too: anniversaries, birthdays, or simply for every day use in your own home. Of course the fun part will be deciding what you want your coasters to say. 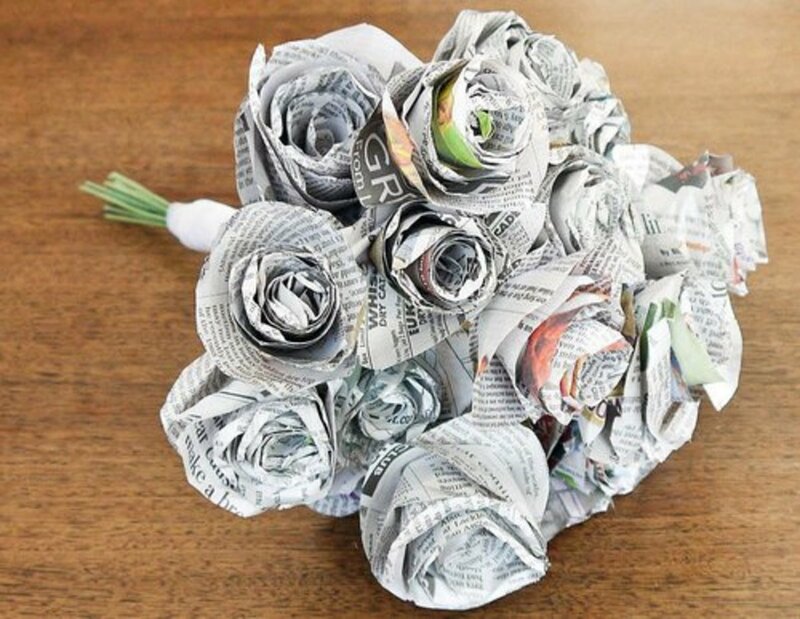 If you enjoy re-purposed paper projects or are simply looking for a new way to use up old magazines or newspapers, check out these tutorials. The results are beautiful and easy to achieve. No one will believe what you were able to accomplish by cutting, folding, and gluing paper. 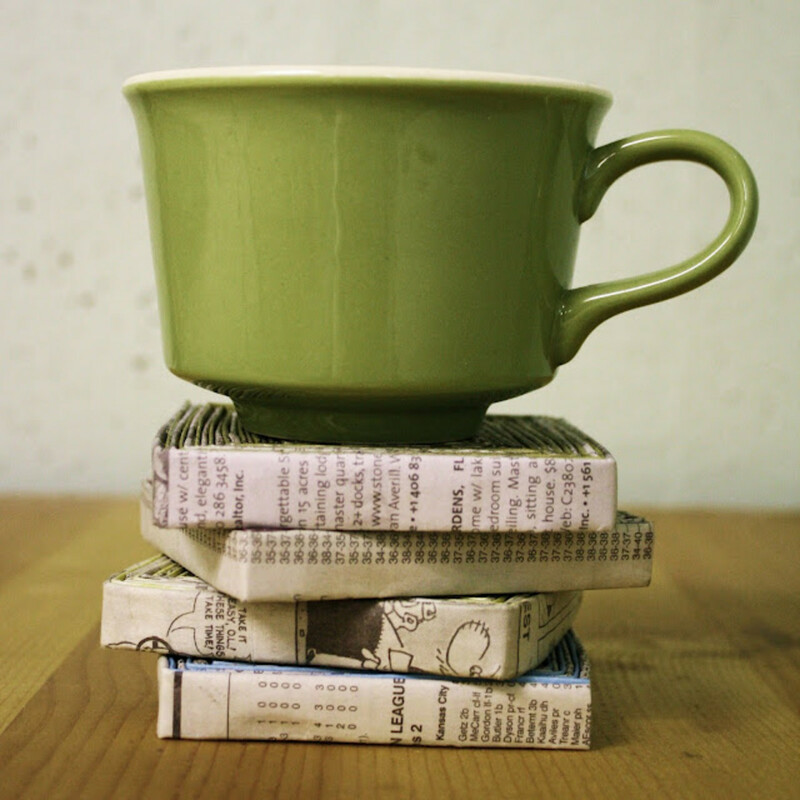 If you want paper coasters that have a fair amount of color, choose magazines with lots of high-quality color photos. 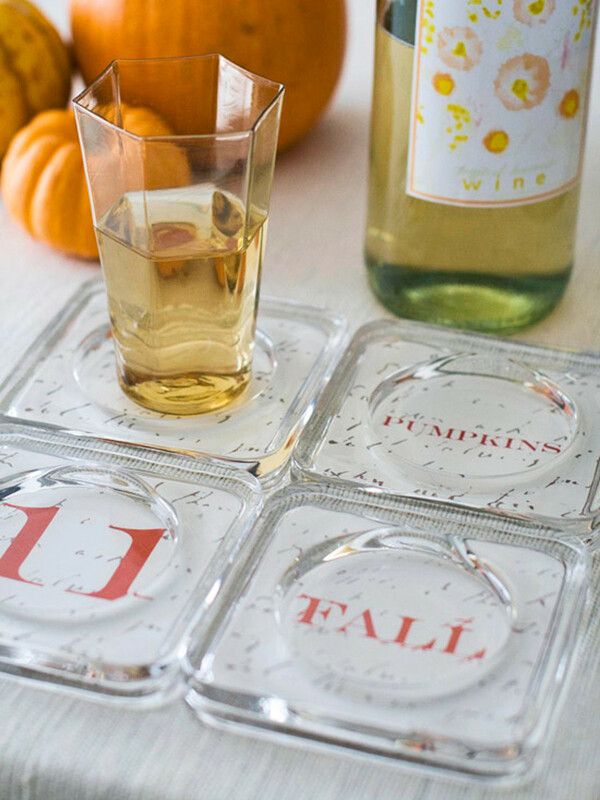 Create a simple coaster with a small glass dish and a patterned paper of your choice. For the tutorial, the author used shallow pillar candle holders. For cheap options, keep your eyes out for glassware that would work well when you're thrifting. 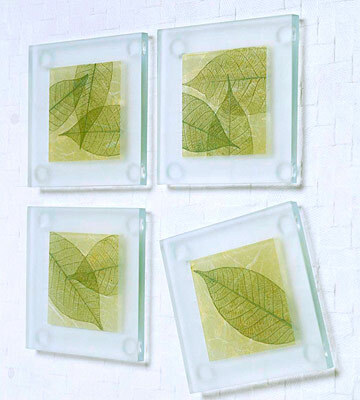 If you are using these coasters for seasonal home décor and don't want to make a set for every season or you simply get tired of the current designs, you can soak the coasters in water, peel off the paper, and start over. If you love glass coasters and are looking for a project that is a little more complex than the last one, give this a try. I love the leaf motif in green here, but you can customize this concept with different colors and/or different non-leaf themes. If you do stick with the leaf themes, consider creating a mixed set with different colored leaves for different seasons or creating whole sets for different seasons. 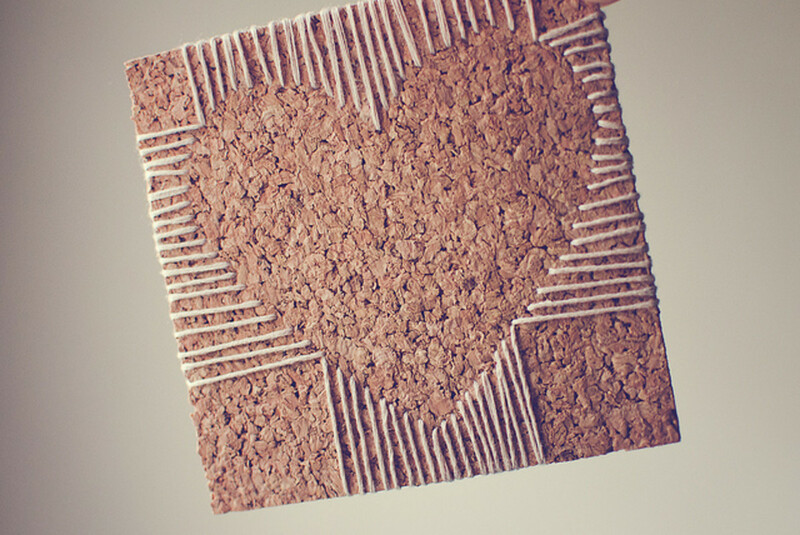 Wine cork coasters have taken off in popularity almost as much as tile coasters. This is a great option for those who enjoy re-purposing. If you don't already have a cork collection or don't drink a lot of wine, recruit family and friends to start saving corks for you. There are a few different options for assembly, shape, and boarders. Figure out what will work best for you. 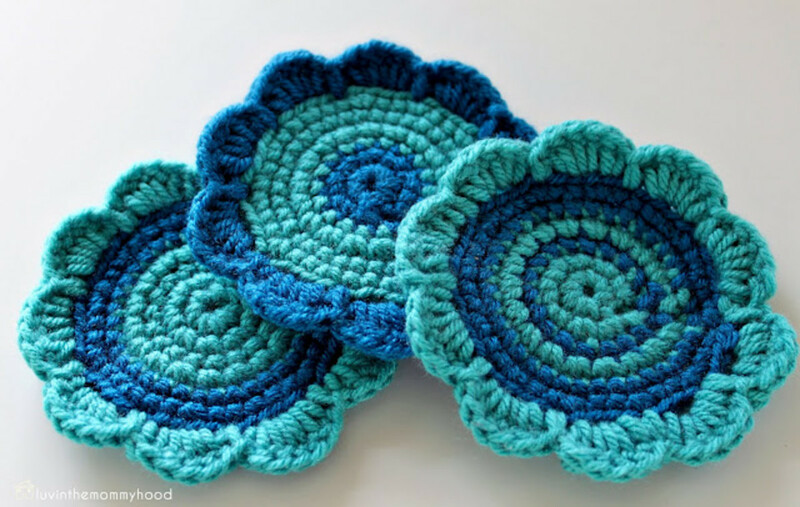 Additionally, you can use these tutorials to make larger versions that will serve as trivets. Isn't this a sweet design? You don't need to have a lot of sewing skills to put this design together. Most people who craft often have some sort of embroidery floss on hand. Although the tutorial does not give a color specification, I would pick something light colored that is not likely to bleed when the coasters gets wet from drinks. You can switch this design up with any shape of your choosing. Make it: Embroidered Heart coaster: ohmygoodknits! For those of you who enjoy crocheting, this is a quick, easy project to make. You can adjust the size, color combination, and edging to suit your personal preferences (or those of the recipient). This is a great project for using up smaller scraps. Please note that the author does assume that you have a basic knowledge of crochet skills. I’m thinking of making my own coasters using a picture (that I can print out on to ordinary paper) and a square cork board. Will the paper stick to the cork? I will then cover the cork with clear contact paper. Unless you're using paper with a sticky back, no, it won't stick to the cork on its own. Wow...lots of very creative ideas! I want to try some of these. I'll start with the crocheted ones. Amazing ways to recycle items! Lisa, I'll have to check out record coasters. Thanks for sharing! Thanks, Emilia! I'm glad that you got some new ideas from this article. I love, love, LOVE these suggestions. 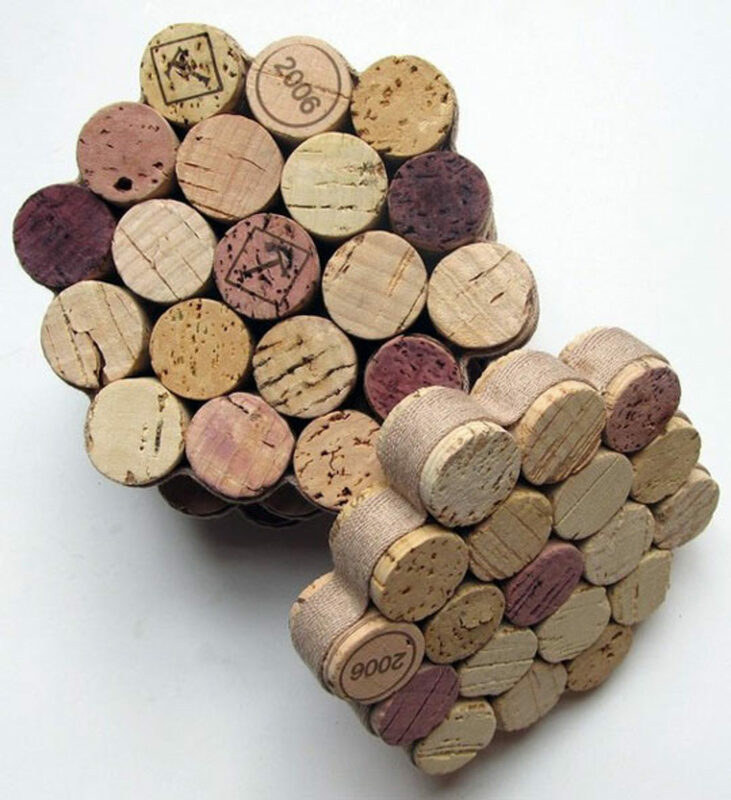 I had used the corks in a tile pattern before, but hadn't considered standing them on end - what a wonderful idea! And recycling old magazines - I have been attracted to recent examples of bowls and baskets made with recycled magazines. Coasters would be a great "first" project while learning the technique. Thank you so much for sharing! 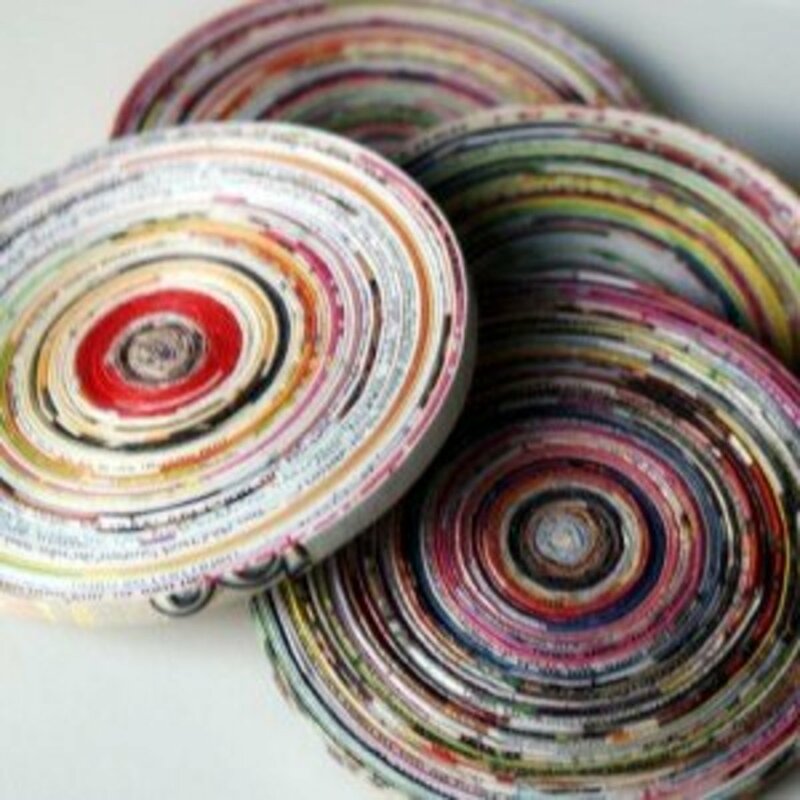 The bottle cap coasters caught my eye...sure would know what to use to fasten them together! I was also a little surprised that record coasters (coasters made out of the center of records, where the artist, album and music label info are found) did not make your list. They are my favorite. Audrey, good for you getting a start on your Christmas projects this early! I'm touched that you sought out some of my articles for inspiration. Happy crafting! fpherj48, I'm glad that you enjoyed the Scrabble and cork coasters. 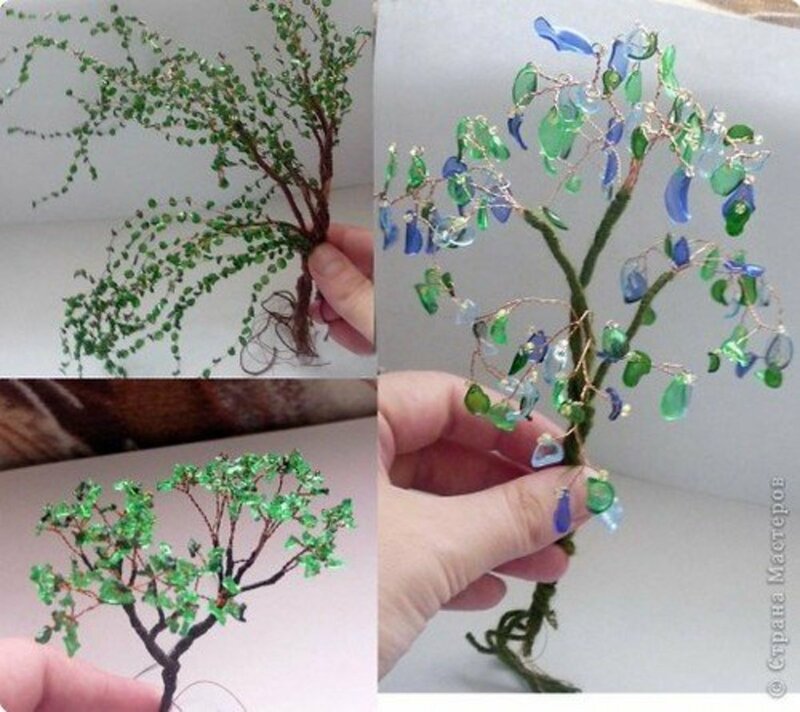 There are so many amazing crafty people out there. You'll never have to worry about having a shortage of ideas. mdscoggins, thanks! 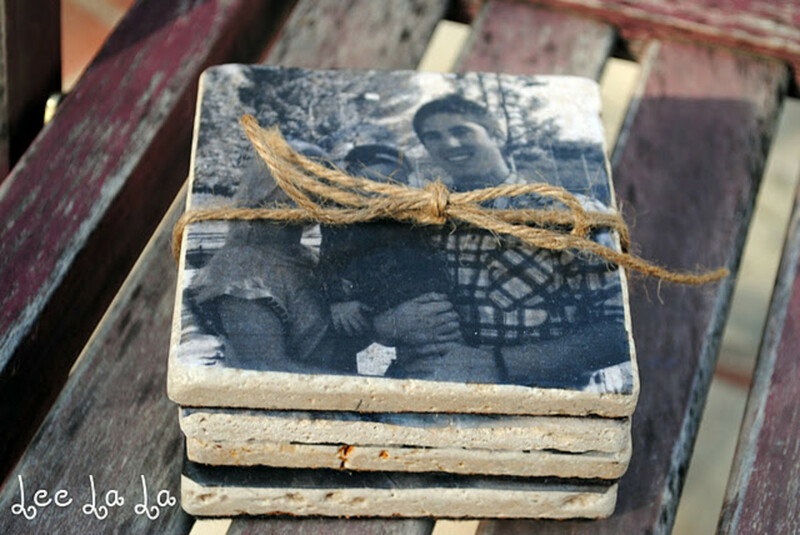 You're right that coasters can be a fun project for the whole family. Great ideas. I really like the Scrabble and bottle top coasters. This can be a great project for the entire family, awesome way to get kids involved. Voted up. Love all of your coaster ideas here, and I'm pinning your hub so that I can re-visit it. I am a bit of a coaster nut and have quite the collection. You certainly have the appropriate profile name! These are as creative as can be. I especially like the "scrabble" style. My family and I play a lot of scrabble. These coasters would be a fun addition. I'm also impressed with the "Cork" coasters. Wish I could have seen your hub long ago. I just recently threw away at least 50 corks! 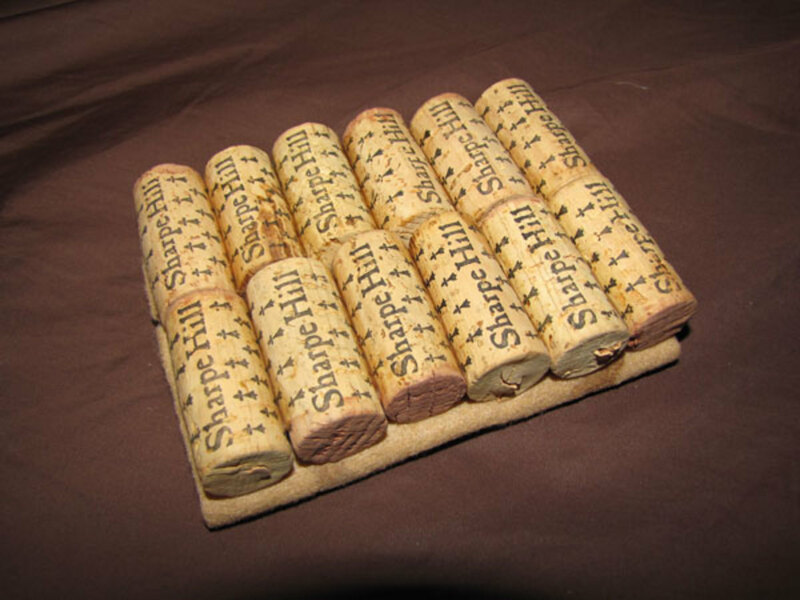 My husband liked to have his wine before dinner and had the habit of tossing the corks into a large bowl. I'm back again for more inspiration and boy oh boy am I ever inspired. Using the month of September to start my Christmas projects. You have given me such fun ideas here. The videos are very helpful. Voted up,UABI and sharing. grand old lady, both great points! Thanks for sharing! The advantage of making your own coasters is that you can make them to fit the size of your glasses. Often, I don't just want to use coasters on the bottom of the glass but also on top, to prevent flies or other such creatures from landing on the glass. You have many wonderful options here. Thanks, so much, jill of alltrades! These are really cool ideas! Thanks very much for sharing! Rated up, useful and beautiful! I'm glad that you enjoyed some of the ideas here, grand old lady! It's nice to upcycle items whenever we can. These are lovely ideas for coasters, especially the marble tiles and the alcoholic ink coasters. It's always better to upcycle, lest these awful things end up in the tummies of birds, turtles and the like. There is too much waste going on in our world. I especially love the beer top ones; never seen those before! Thank you for the hub, will have to try out a few of these ideas. Scrabble tile coasters: the one thing you can't do with iPhone scrabble. How I love all of these magnificent ideas for coasters! I think I will try my hand at the coiled fabric coasters first. These would make cute Christmas gifts and could even be done in red and green. Voted up and across and sharing. Thanks my creative friend! I love the lace tile ones! I'd make the beer cap one if it meant my husband would actually use coasters! Ha! 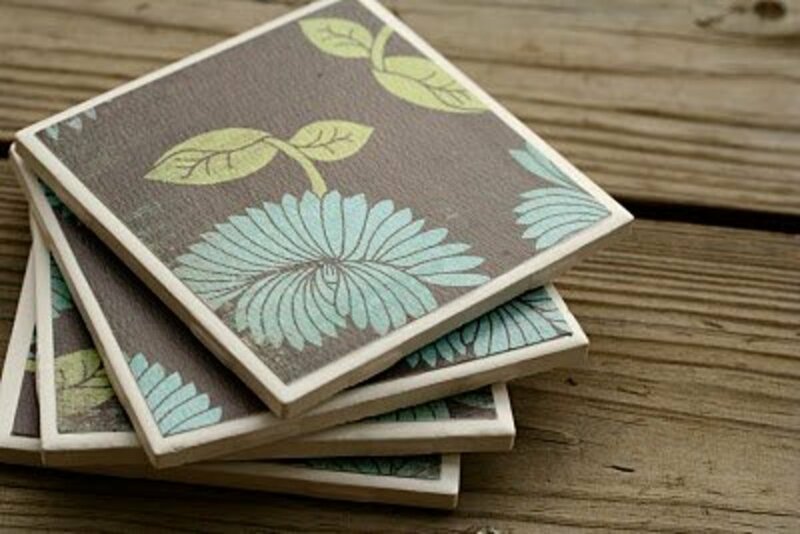 These are great ideas for coasters. 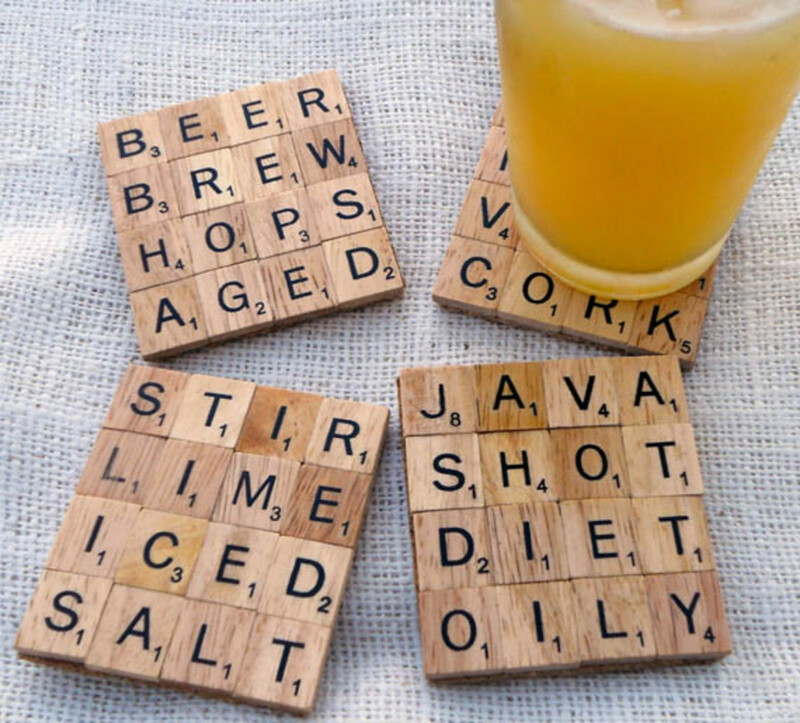 I love the cork coasters, scrabble piece coasters, and the bottle top coasters. I'm wondering if hot glue would work with the bottle tops. I would want them to be functional as well, able to absorb moisture from the glass - the cork and wood would probably do that. Great hub! Pinned! Thanks, KoffeeKlatch! You're right that there is something here for everyone. I love your coasters. There's something for everyone. I like the tile, cork, and scrabble coasters. Heck, I like them all. Up, awesome, useful, interesting. Thanks so much! That's great. Another cool hub! Especially love the scrabble coasters! Thanks, vespawoolf! I try. 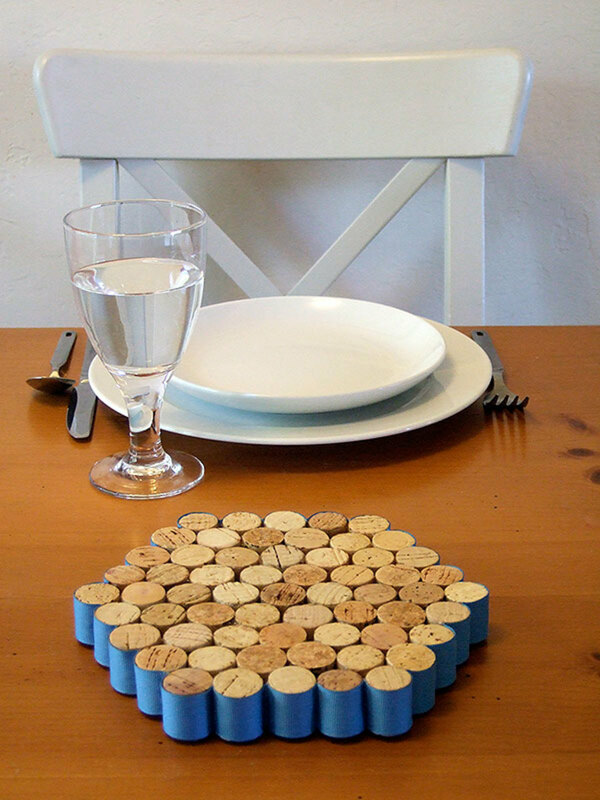 Best of luck with your cork coasters. You certainly live up to your name, Randomcreative! These are gorgeous and interesting ideas. I especially like the tile and cork. I might even be able to manage the cork coasters on my own. : ) Thanks so much for your infinite flow of creative ideas. Very creative! 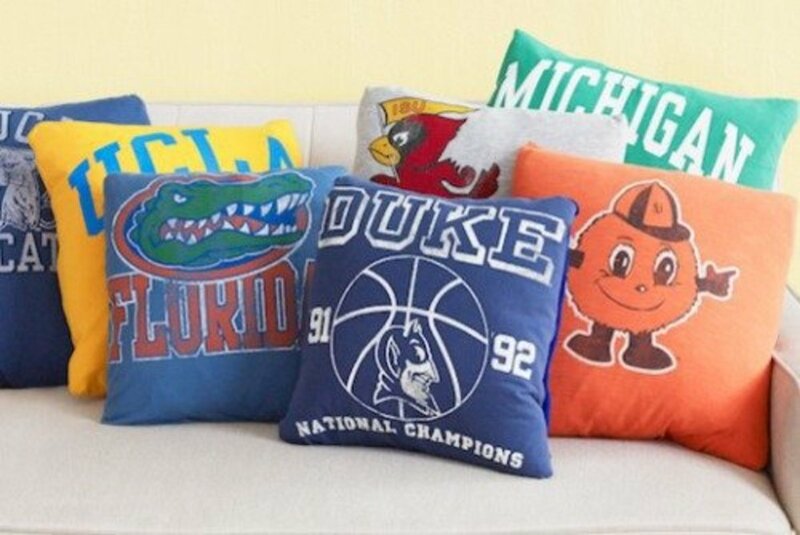 These would make great Christmas gifts! That's great, themadimadimadi! Have fun with your coasters! Thanks, Shasta! Once you own many of the supplies required for these projects, such as Mod Podge, you'll be able to use them for lots of different crafts. Wow, these are all so cute! As I read each one, I thought, I could do that one. My supply list has grown exponentially thanks to your aticle - mod podge, tiles, cork, glass. Thanks! What cool ideas. I love coasters. Thank you for sharing the ideas. Thanks, SweetShannon! Coasters do make a great gift, and they are fun to make. I appreciate the promo. Thanks so much, Tracy! That's a good problem! So many great ideas! I can't decide if I even have a favorite. Thanks so much Green Art! Have fun with your coasters. With so many great coaster ideas to try I'm not sure where to start. The "lace" and "scrabble" coasters are my top picks. 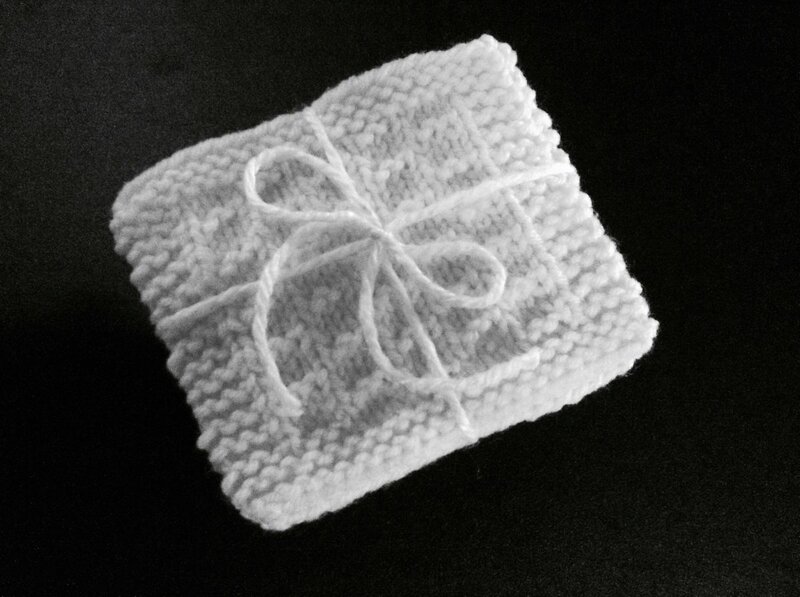 The video making napkin and tile coasters was done well and simply too. Great Hub! Thanks Joanie! I will check out your hub. I bet you could pick up some new spools on eBay. 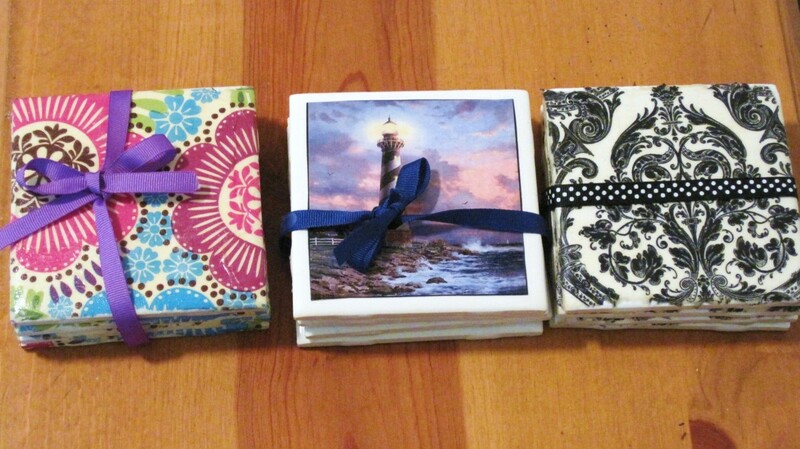 What a great assortment of coaster ideas for the crafty person. I just published a Hub about quilted coasters that I like. But your scrabble and wine cork coasters are really inviting me to try them. Sometime ago I sold a large number of wooden thread spools on eBay. Now I wish I had kept them to make one of your coasters. Thanks again. Will be following you. Thanks Joesy! Have fun. It is so hard to pick a favorite idea from so many of my craft hubs, too. 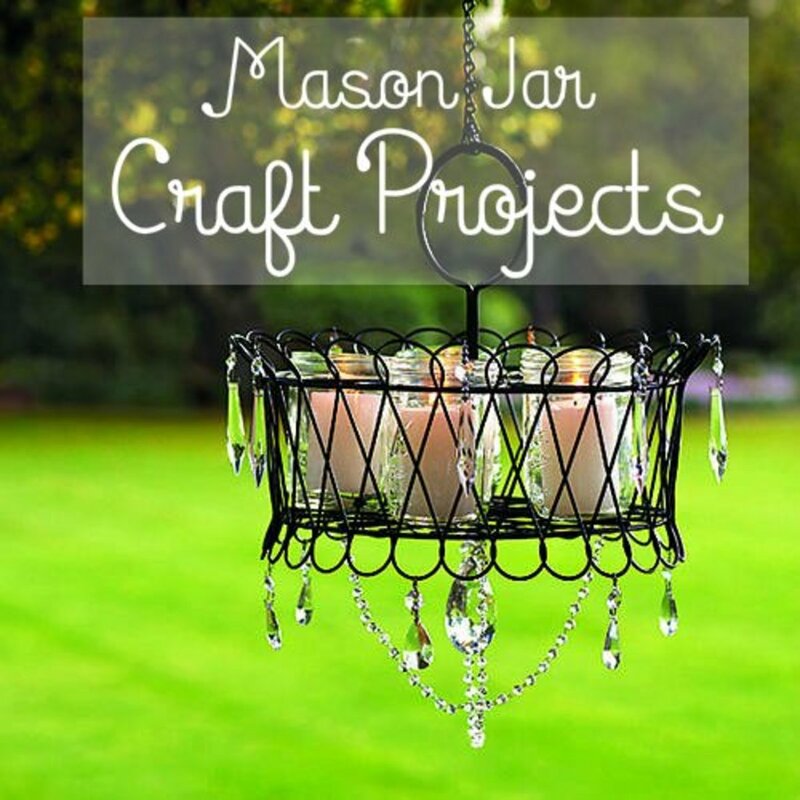 There are just so many crafty people out there with so many great ideas. I can't wait to get started. Thanks for a fun-filled Hub. 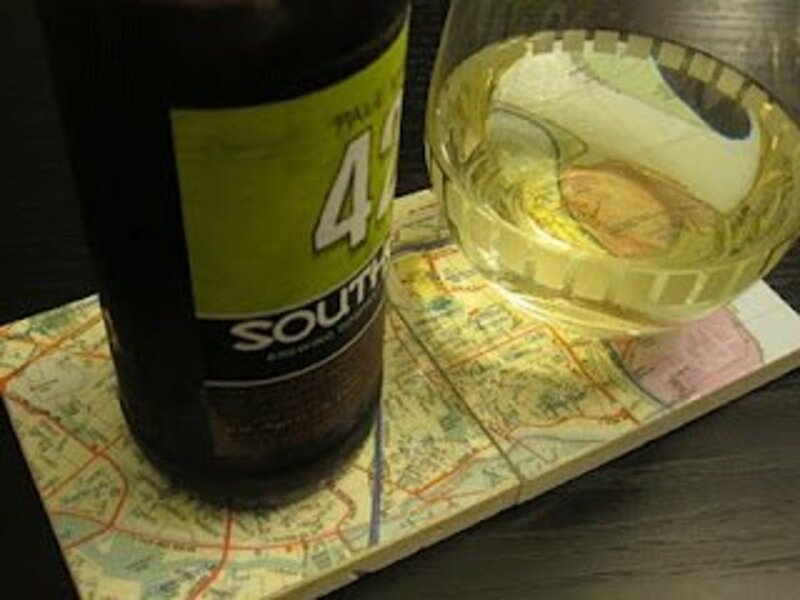 These ideas are great and I love the map coasters. Who am I kidding....I love them all!! This will be perfect! Coasters make great Christmas presents. Thanks for the great ideas. I have a truckload of tiles that are sitting in the shed and garage. I knew I would find something to do with them. Now to get busy for Xmas! Scrabble coasters! 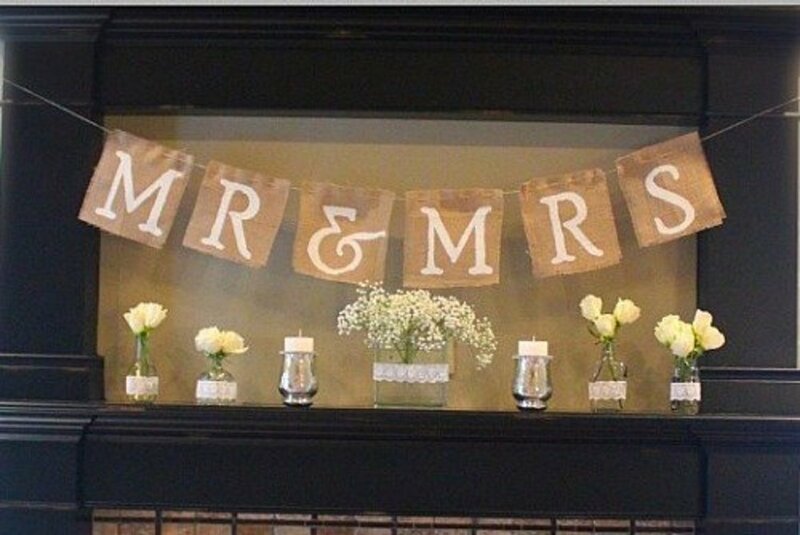 I imagine using these ideas for my wedding someday! Voted up and useful! Crafting and Recycling are a great couple. Thanks for showcasing some excellent ideas. super cute coaster ideas. I like purlbee's and the crocheted coasters the best. This is a cool collection of ideas - thanks! Bookmarked, up and useful. Thanks Seafarer! I'm so glad that you enjoyed this hub and hope that it will be useful for you many times. I'm sure that your husband would love that! You have captured my artist's imagination with this hub and I have bookmarked it already! Voted up on everything but funny. This hub is truly a treasure that I'll keep returning to! I am sure that your friend will love either idea. Best of luck! Linking to my Scrabble hubs, if you have no objection--thanks again! cloverleafarm, I bet that Scrabble tiles made a great addition to decoupage. Louise, thanks! I agree that photographs do give coasters a personal touch. Ruchira, that's always a good feeling. Jamie, I agree that the bottle caps are awesome. All of these coasters are awesome! I really do love the bottle cap ones though.. I've never seen any like those. Don't you just love the Starbuck's Izzy bottle caps?! I noticed one on one of the coasters. Thanks for sharing! I love this hub 'cause I have made quite a few coasters myself from tiles. You sure are a very creative lady, randomcreative...cheers! 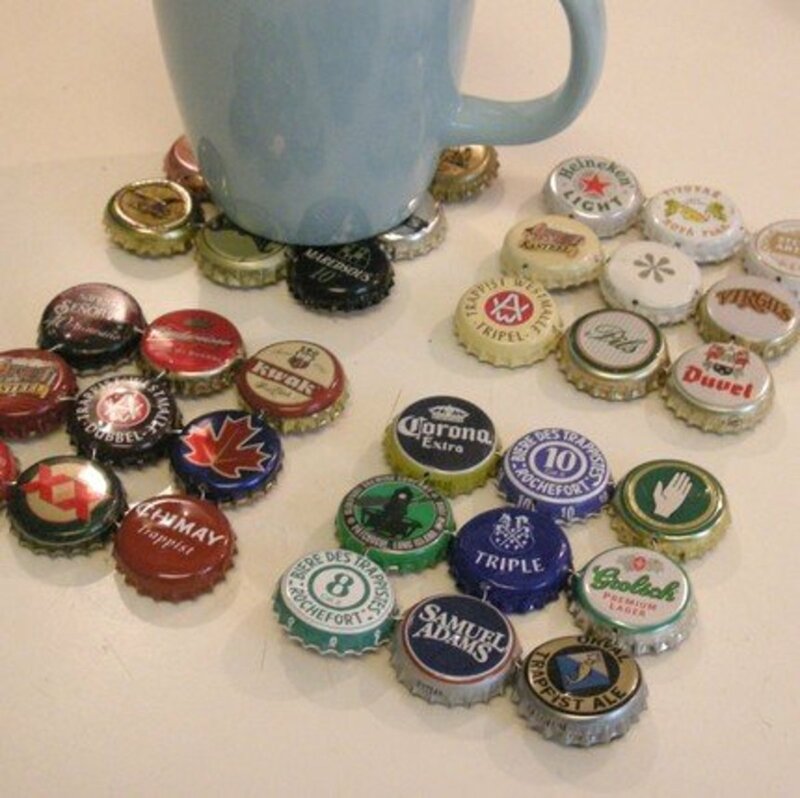 Excellent ideas for coasters! I especially like the photograph set; they give a really nice personal touch. Voted up and interesting. Great ideas. I like the Scrabble one! 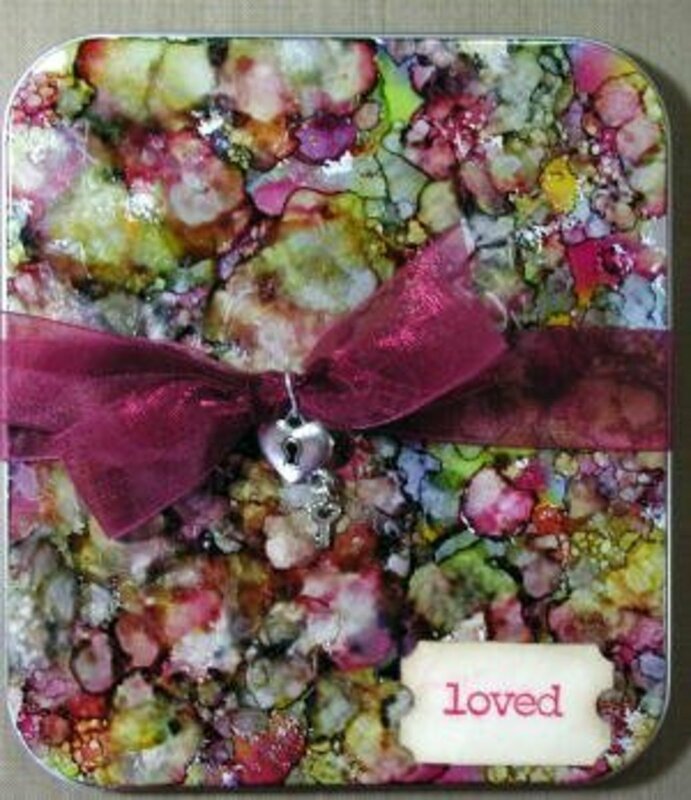 I have used tiles an decoupage before. Thanks! Let me know if you try any of them. Loved all the coaster ideas. I would never think of half of these but I might just try some next week.